Please note: the following is blogged live whilst in the session. Please excuse any spelling or grammatical errors. Microsoft Powershell was open-sourced a few weeks back, and is now available for Linux and Mac. Alan Renouf and Luc Deakins began the session with three-window demo, showing PowerCLI commands running simultaneously on Windows, Linux and Mac. 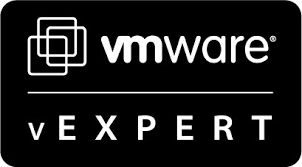 VMware released PowerCLI Core on Tuesday 18 October and is available from https://labs.vmware.com/flings/powercli-core. Luc has improved on get-Stat2 with additional parameters. It uses PerformanceManager API methods, and is interchangeable with Get-Stat2 cmdlets. Get-Stat3 has been rewritten and is now 55% faster than previous versions. Powershell Tech Preview is essentially an Alpha release and does not support parallelism. The Visual Studio Code (VS Code) Editor is available on multiple platforms. One of the biggest number of additional cmdlets is for VSAN. Alan demonstrates enabling VSAN – include defining networking, claiming disks, enabling VSAN on the cluster and verifying this has worked as expected. Fault Domains can also be created using VSAN, as well as assigning storage policies. Finally the health check service can be enabled. Horizon View cmdlets have now been completely revamped and comes installed by default – PowerCLI is not required to be installed on the View server. Horizon View cmdlets will also be fed into the PowerCLI Github repository. The API documentation will also be made available to customers. Alan then performs another demonstration, this time listing available View Connection Servers and their associated health. Licence information can also be retrieved. The DSC module is a long-running project for Luc. Desired State Configuration gives admins the ability to ensure their environment remains constant, and that changes are auto-remediated. Luc is working to reverse-engineer DSC, so that it can export your environment in preparation to be ported to others.